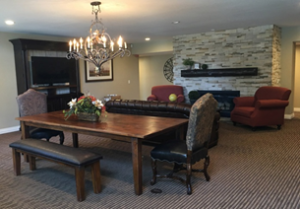 Temecula, California (1 November, 2015) – As a Holiday treat for residents, management at Sycamore Terrace Apartments in Temecula, CA has decided to completely remodel the clubhouse. The residents of the apartment community are enjoying the new additions put in the clubhouse. The remodel essentially renovated every area of the clubhouse particularly in the kitchen and the living room. All this, of course, was done to help make the residents’ lives more convenient and fulfilled during the entirety of their stay. Everything in the kitchen is new, including the gorgeous oak cabinetry recently installed. Also new to the kitchen are the granite counters to go along with the oak cabinets. All in all, these changes gave the kitchen an even warmer atmosphere. The flooring throughout the entire clubhouse is also all new. Management also opted to bring in new furniture and décor to tie up the whole look of the place. Two additional computers have also been brought in for clubhouse residents to use. Sycamore Terrace Apartments spares no expense when it comes to the comfort and convenience of their residents. The company is constantly looking for new ways to enhance the living experience of their. This is because the owners and the staff alike appreciate guests and take pleasure in seeing them having a good time while living in the Sycamore Terrace community. In addition to the recent renovation of the clubhouse, the staff has implemented an “Early Bird” gift for residents. Every resident who pays rent before the first of the month has their name entered into a raffle. The first winner receives a prize basket filled with an assortment of goodies while the second winner will get a $50 check or gift card. Sycamore Terrace Apartments is located at the heart of Temecula, CA. The company offers large one and two bedroom apartment homes that come standard with amenities like washers/dryers, refrigerators and dishwashers. 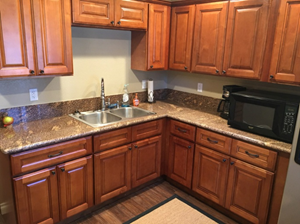 Each apartment is newly remodeled and comes with a full set of appliances at no extra cost. Residents can have access to pools, spas, and the fitness center on the premises. Key locations near the area include the Promenade Mall, the Edwards Cinema Stadium and Old Towne Temecula.